I'm so excited to be part of the Paper Pieced Pattern a Day Garden Party Blog Hop!!!! It doesn't quite feel like Spring in Seattle until the tulip bulbs I planted in the fall bloom in April. My block is a tulip in a pot which for me epitomizes the beginning of Spring. If you haven't seen the other Garden Party themed blocks you should really check it out HERE. Jennifer of Sewhooked is hosting and has some fabulous give-aways, too. The block is 4 1/2" wide and the instructions include measurements for making a 10" block. You could also use two blocks to create a 10" or 12" block. The pattern can be found HERE. With Spring in the air, one cannot have too many cute shopping totes!! A whopping 15 3/4" x 18 3/4"!! 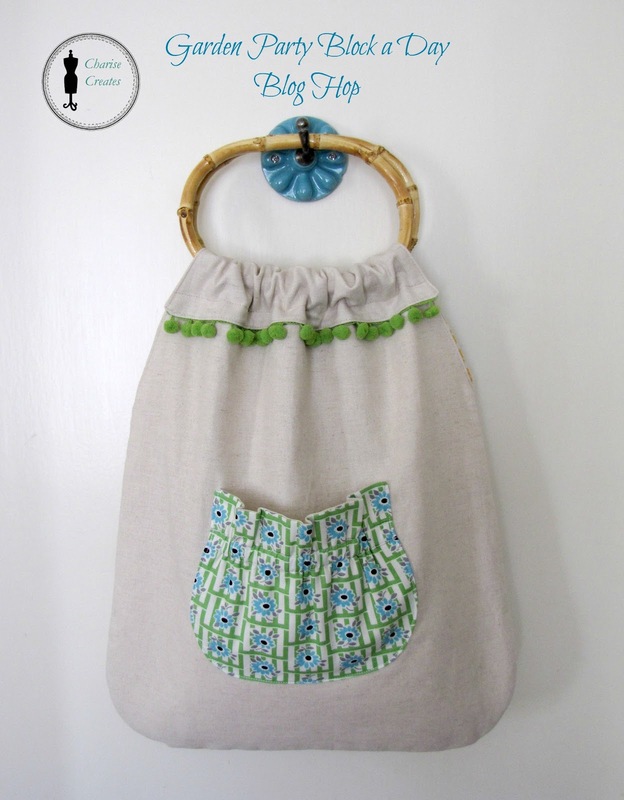 If you want a smaller bag, just trim off the bottom and you can keep all the other measurements the same. Make sure your quilt block fits the smaller size of the tote and you can see it below the flap. I added pom pom trim and a border around the block to coordinate. I love the ruffle top elastic pocket. It is super duper, easy peasy and has a nice clean finish. I also added one to the inside lining. You can find the tote bag tutorial HERE. If you decide to make my "Hello Spring" block or tote bag, I would love to see your version on my Charise Creates Flickr group HERE. And don't forget to check out the Garden Party Flickr group HERE! Love this block - it's just gorgeous! What a great idea to pop it on a tote bag too. Very cute. It's so perfectly spring. Wonderful job Charise! 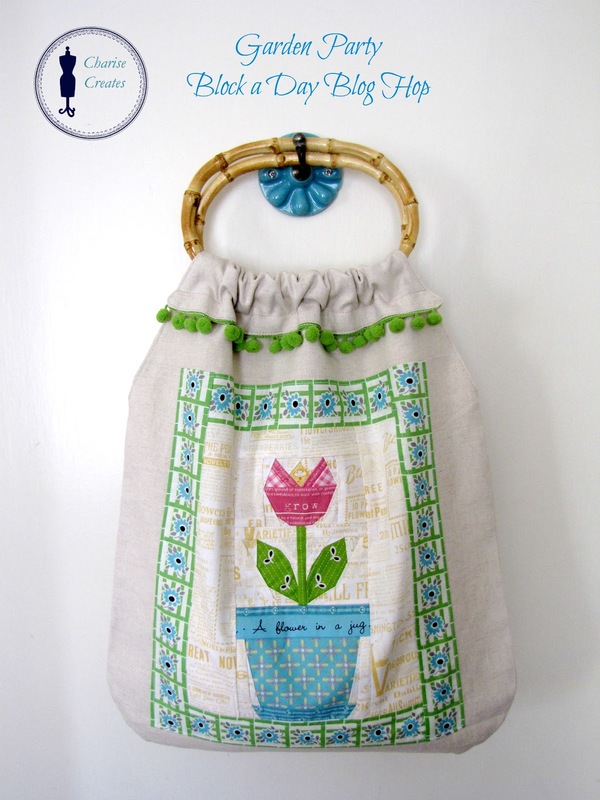 Love how delicate the tulip block is, and your tote is so cute! 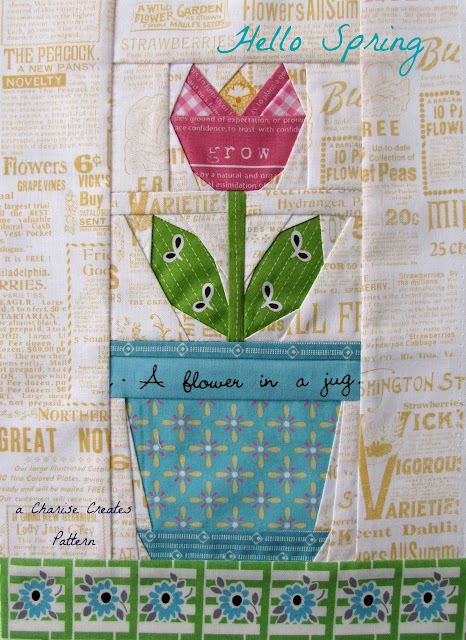 I can't wait to make a tulip block! I adore this block and how you fussy cut it! Fantastic job! Darling block and project! Thanks so much for both patterns:)!!! This is perfect for spring! Thank you so much! Cutest tulip block EVER! I love the tote that you fashioned around the block, too. It's just excellent. A beautiful bloom and the bag is perfect to showcase it! i'm echoing Laurraine, your fabric choices are stellar! 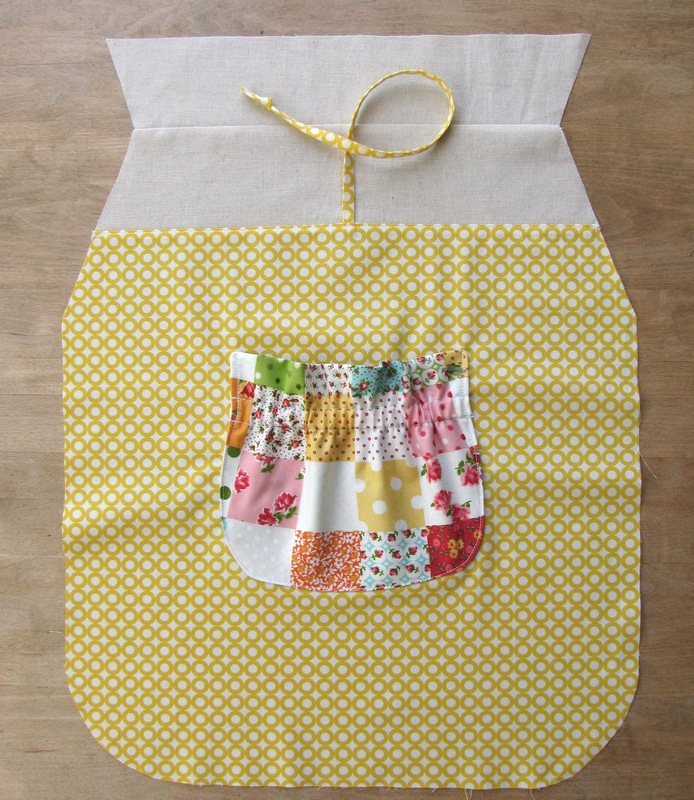 it's such a cute block, and it totally screams SPRING! Tulip in a pot! What an adorable idea. Love it - have been enjoying my tulips in the garden and some cut flowers inside but this one can be enjoyed all year round! Thank you for your cute pattern. And always enjoy reading your blog from Japan.